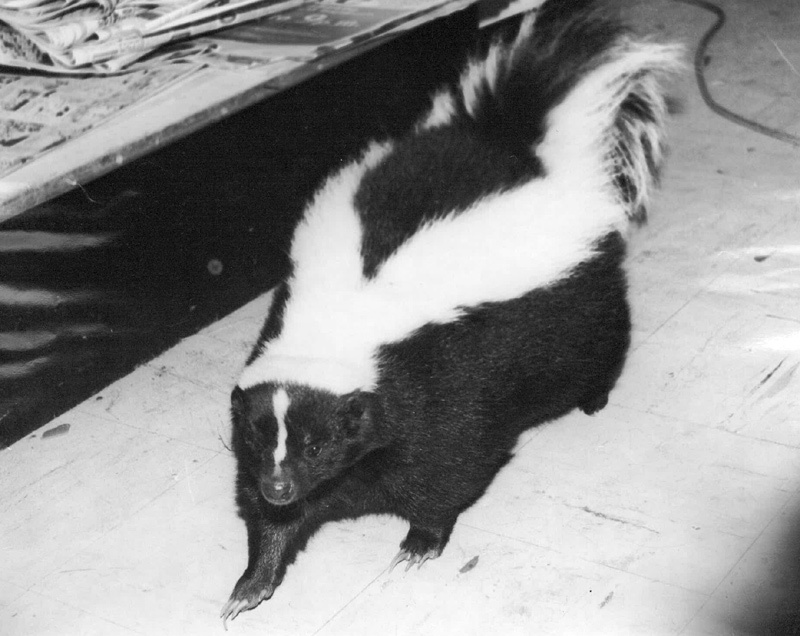 Removing a family of skunks from its established dwelling area can seem rather daunting, fearing that any confrontation will creating the unbearable odor we all have come to love. We provide services for the humane removal of skunks and the prevention of their return. We also provide services that allow skunks to exit their dwelling with no means of return. Skunks will often dig under sheds, decks, porches, sheds, and homes to dwell all of which can be fixed with what we call trench prevention. Should a customer block an entry way to stop the skunks? No, No, and No again! Its just a suggestion but blocking a skunks only means of entry could mean that you have blocked its only means of exit instead. If you have blocked a skunks active travel path and are not 100% certain that the den is vacant then you open yourself up to a whole new set of problems. It is possible that a skunk or skunks become trapped and if they cannot dig another way out they will certainly die under your home or affected structure. When a skunk does become deceased the muscles that, holds in the oil which produces the dramatic odor, releases allowing the oil to leak out and cause a constant and overpowering smell from the skunk. Understanding that skunks burrow very deeply and out of reach of predators and animal control officers justifies the difficulties that might follow for dead skunk removal. Deodorizing services will help but the source of the odor almost always needs to be found and removed. Precision Wildlife Services offers an onsite consultation to educate homeowners on proper monitoring and repair specifications for do-it-yourself skunk patrol. Prices are for homeowners interested in do-it-yourself trench prevention. 1/4" black coated- 12" deep ................. $2.00/ft. 1/2" black coated- 12" deep ................. $1.75/ft. 1/4" black coated- 24" deep ................. $4.00/ft. 1/2" black coated- 24" deep ................. $3.50/ft. 1/4" black coated full roll (100'L*24"W) ................. $300/ea. 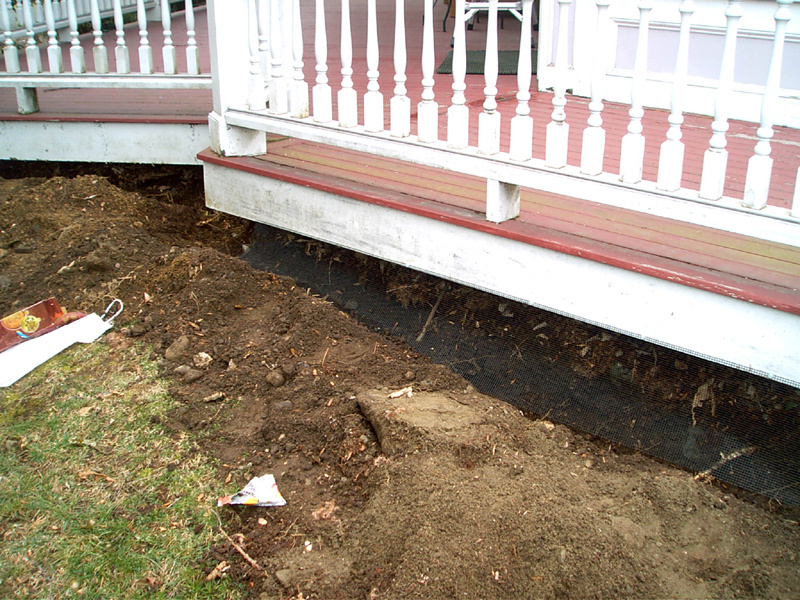 Installation charges for trench prevention can vary on many factors such as digging conditions, additional lattés or carpentry, and greenery to be removed and replaced. For information or quotes customers can contact us to schedule a inspectional visit.